Philippine Airlines (PAL) will be adding three new domestic routes as the nation’s flag carrier opened its first Cebu flight on Monday out of Clark International Airport (CRK). Ismael Augusto Gozon, PAL senior vice president for airline operations, during the send-off ceremony held Monday at the CRK Domestic Passenger Terminal before the Clark-Cebu inaugural flight, said that PAL will add three new routes, namely Davao, Puerto Princesa and Busuanga that will fly out of Clark. 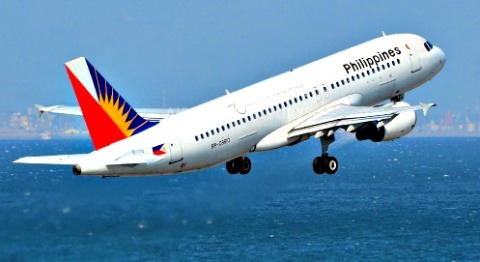 “PAL is offering Clark to Davao on February 1, and Puerto Princesa and Busuanga service on March 26,” Gozon said as he expressed optimism that PAL’s operations will continue to grow in the coming months. PAL’s flight PR-837 via Clark-Cebu took off at 7 a.m. on Monday with 118 passengers on board, the third operations of the nation’s flag carrier since launching the daily Caticlan route on December 16, 2016 and international flights to Incheon in South Korea on January 1 this year. The Clark-Cebu plane departs from Clark at 7 a.m. every Monday, Wednesday, Friday and Sunday. The Davao domestic route at Clark will start on February 1 with thrice weekly flights. The Davao route is every Wednesday, Friday and Sunday that will depart at 10:50 a.m. from Clark Airport. "PAL’s flight is a new route that is part of our ongoing expansion outside Manila and we will continue to develop new routes for Clark as well as a secondary hub of operations in Luzon,” Gozon said. Also on hand during the send-off ceremonies before the Clark-Cebu inaugural flight is OIC president and CEO Alexander Cauguiran of the state-run Clark International Airport Corporation (CIAC). The CIAC chief said PAL’s operation at Clark is essential in easing the issue of decongestion in Metro Manila, particularly the Ninoy Aquino International Airport which already reached passenger capacity of 37 million last year. “Clark Airport offers convenience and comfort to passengers especially those coming from the provinces of the northern and Central Luzon,” Cauiguiran said. “President Rodrigo Duterte’s directive is to develop Clark―the premier airport of the North,” Cauguiran added, citing CIAC’s vision that is aligned with Department of Transportation Secretary Arthur Tugade’s efforts to develop the Clark International Airport with the support of private proponent initiatives.